Moroccan Keratin- Hair Treatment- Tested and Proven over and over, Moroccan Keratin is simply the same treatment as the Keratin Hair Treatment Also Known as The Brazilian Keratin Treatment. Fast and simple to use treatment that instantly straightens, smooths, repairs, conditions and strengthens the hair using an intense conditioning remedy which restores vitality by repairing the hair from the inside out. The amazing results will leave hair elastic, flexible, and soft, with a naturally vibrant shine.Acts as thermal protector when you iron the hair during the process. Moisturizes the hair long term. 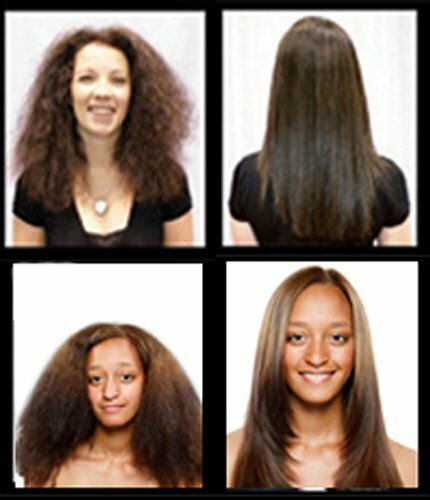 Eliminate frizz for months (What a life saver :-) Enjoy and join thousands of satisfied customers. Moroccan Keratin - Clarifying Shampoo- An important step that clears the hair and scalp from oils, product build-up, chlorine and environmental impurities. It elevates the PH in order to open the hair cuticle and prepare it for the Keratin Treatment. Moroccan Keratin- Sulfate Free Moisturizing Shampoo- Infused with True Natural Moroccan Argan Oil that provides superior protection, moisture, and a lasting shine. Rich infusion of nourishing and cleansing elements provides a luxurious lather that leaves hair healthy, strong, vibrant and manageable. Gentle enough for premed or color treated hair . also contains Hydrolyzed keratin & collagen Amino acids for stronger healthier shiny hair. Moroccan Keratin Sulfate Free Moisturizing Conditioner- Deeply moisturizing conditioner. Provides superior protection Nourishes, hydrates, and strengthens the hair. Restores split ends, breakage and dryness using of moisture rich ingredients ,Hydrolyzed keratin & essential amino acids. Infused with the power and goodness of Moroccan Argan oil. 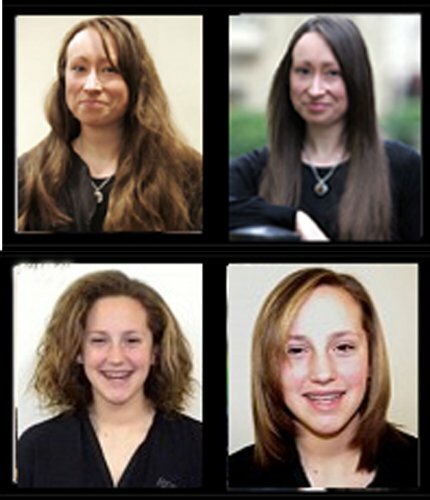 Straighten, Smooths, Repairs damaged hair from within, Tough on Curls LAST 4-6 Months ? This listing includes: Moroccan Keratin Hair Treatment 120ml Moroccan Keratin - Clarifying Shampoo 120ml Moroccan Keratin - Sulfate Free Moisturizing Shampoo 120ml Moroccan Keratin - Sulfate Free Moisturizing Conditioner 120ml Straighten, Smooths, Repairs damaged hair from within, Tough on Curls LAST 4-6 Months This kit can last 1 treatment Moroccan Keratin- Hair Treatment- Tested and Proven over and over, Moroccan Keratin is simply the same treatment as the Keratin Hair Treatment Also Known as The Brazilian Keratin Treatment. Fast and simple to use treatment that instantly straightens, smooths, repairs, conditions and strengthens the hair using an intense conditioning remedy which restores vitality by repairing the hair from the inside out. The amazing results will leave hair elastic, flexible, and soft, with a naturally vibrant shine. Acts as thermal protector when you iron the hair during the process. Moisturizes the hair long term. Eliminate frizz for months (What a life saver :-) Enjoy and join thousands of satisfied customers. Moroccan Keratin Clarifying Shampoo- An important step that clears the hair and scalp from oils, product build-up, chlorine and environmental impurities. It elevates the PH in order to open the hair cuticle and prepare it for the Keratin Treatment. 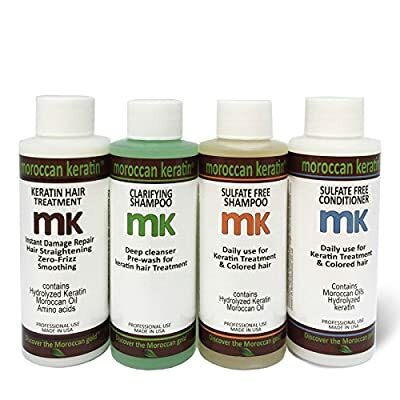 Moroccan Keratin- Sulfate Free Moisturizing Shampoo- Infused with True Natural Moroccan Argan Oil that provides superior protection, moisture, and a lasting shine. Rich infusion of nourishing and cleansing elements provides a luxurious lather that leaves hair healthy, strong, vibrant and manageable. Gentle enough for premed or color treated hair . also contains Hydrolyzed keratin & collagen Amino acids for stronger healthier shiny hair. Moroccan Keratin- Sulfate Free Moisturizing Conditioner- Deeply moisturizing conditioner. Provides superior protection Nourishes, hydrates, and strengthens the hair. Restores split ends, breakage and dryness using of moisture rich ingredients ,Hydrolyzed keratin & essential amino acids. Infused with the power and goodness of Moroccan Argan oil.